This week is all about the love, but we can't forget to incorporate some love for our (U.S.) presidents as well! I'll pull this out next week after our (blessed) four-day weekend. I'm hoping use it as a reteaching tool later in the week for some of my sweet kiddos who are still struggling to tell the difference between nouns, verbs, and adjectives. 6 different presidents mentioned - Lincoln, Washington, Jefferson, T. Roosevelt, Bush, and Obama! I'm planning on placing the word cards in Ziploc bags, so that I have 9 total - one baggie for each sentence. I'll place 1-2 baggies at each table and then in a few other places around the room, including my table. This way I can meet with small groups of students to see how well they understand the difference between nouns, verbs and adjectives. The rest of my kiddos can circulate the room with a partner or on their own to work through the activity. As always, if this is something you can use be sure to leave me some love below or on TpT where you can snag it for FREE! 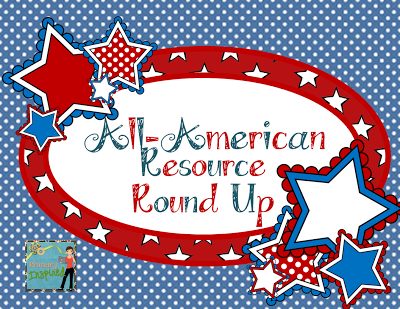 I'm also linking up with Brenda at Primary Inspired for her All-American Resource Round-Up! I'm your newest follower! 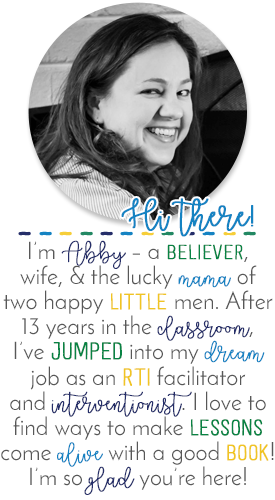 I am married to Katie from Teacher to the Core! As a 4th grade teacher, I really appreciate you tackling adverbs! Thank you!